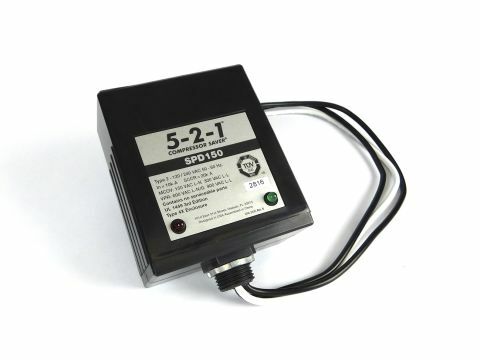 SPD60 | 5-2-1 Surge Protector - CPS Products Inc. The 5-2-1 Compressor Saver® introduces the SPD60 and SPD150 Surge Protection devices that incorporate the latest in protection technology and ease of installation. 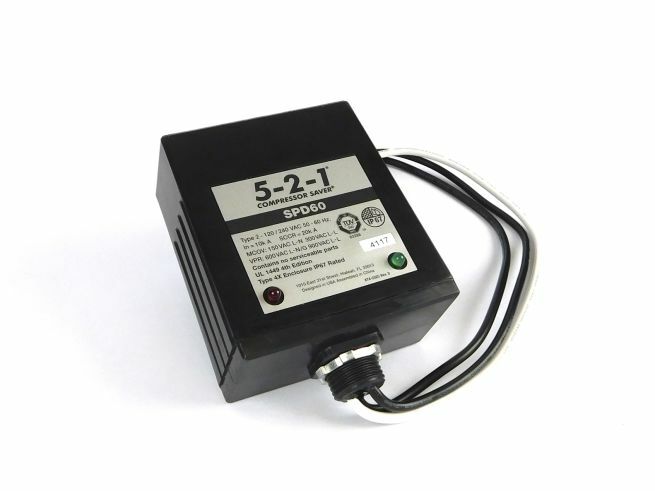 These devices are designed to protect your equipment by suppressing the harmful energy produced by lightning strikes and other power line transients commonly found in HVAC installations. The voltage surges or spikes can be very damaging to HVAC equipment, shortening the life of the compressor and reducing its efficiency.